Hello everyone, and welcome back for more Halloween fun! I just love October because I love making anything related to Halloween. I've always been a fan of spooky movies, and this genre is just my thing! 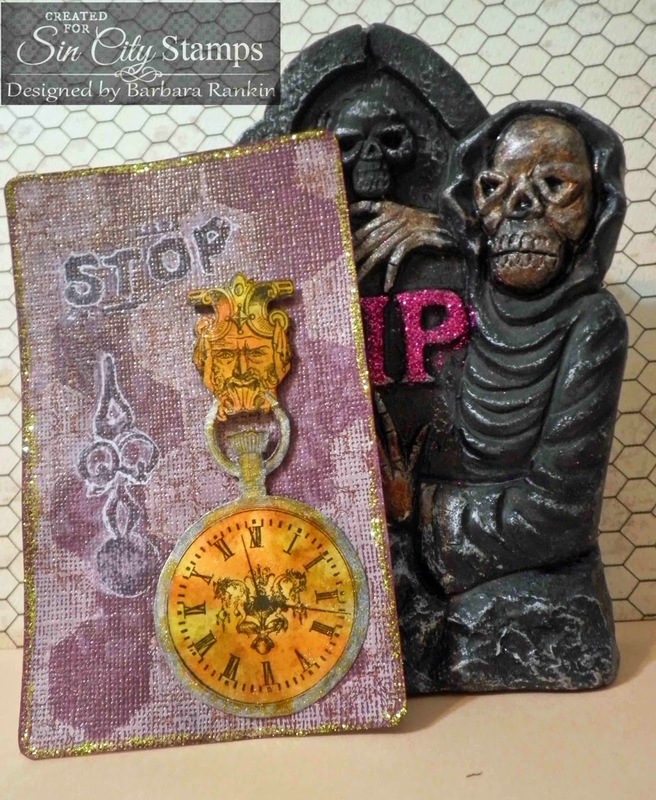 Today's project is a very colorful and a bit creepy card that I made using my Gelli Arts printing plate for a background, and a few of my favorite Sin City Stamps rubber sets. 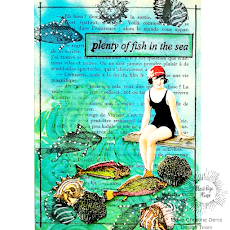 While playing around with my gelli plate, I also made this same or similar background on a different color card stock to see what the difference would be. Then I couldn't help myself. I had to turn it into a tag, or a card to slip into a pocket, or even used as a focal point on a card. I have prepared a bit of a tutorial for you using Snapguide. All you have to do is click START THE GUIDE for complete instructions. 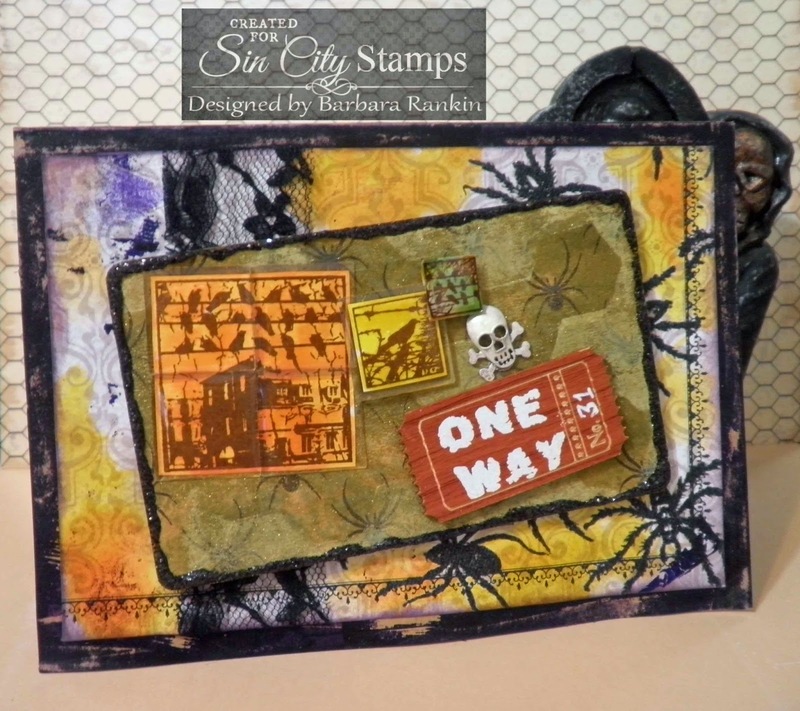 Check out How to Use a Gelli Printing Plate for Card Making by Barbara Rankin on Snapguide. I hope you enjoyed my gelli printing plate project today, and that I have inspired you with all of the great products available at Sin City Stamps. 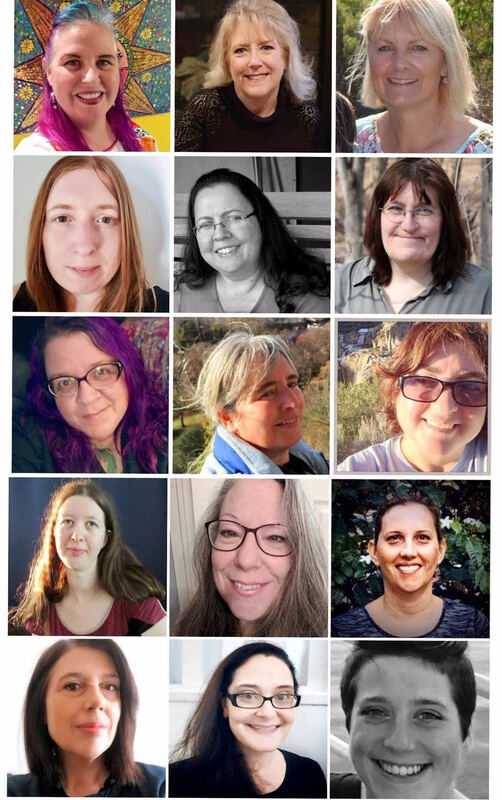 And be sure to stop by the SCS Blog regularly for more inspiration from the team! Your creepy card is fabulous Barbara, it can never be too creepy at this time of year. I am not a lover of spiders but they look great on your card! I don't have a Gelli plate but I am off to have a look at your project. Thank you for an excellent tutorial using the Gelli plate! Your card is creepy and I love it..